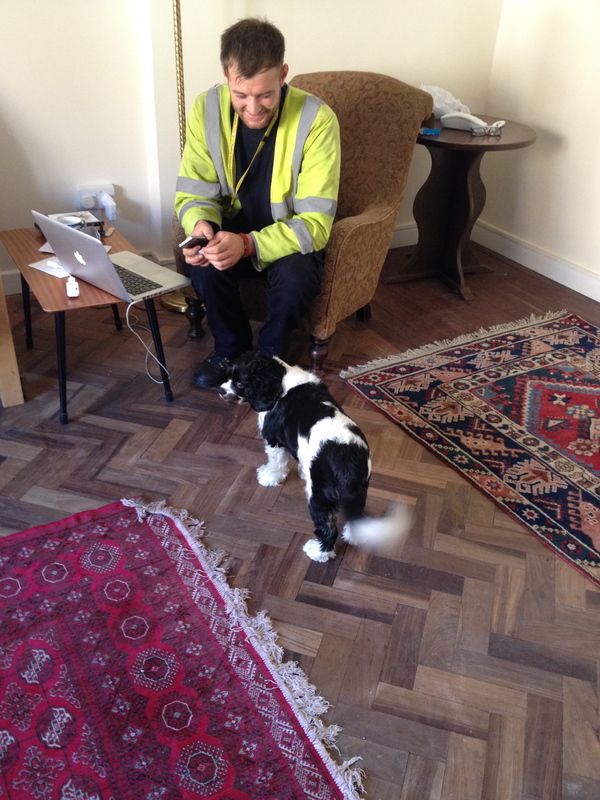 Pickles enjoys helping the BT technician install telephone lines and broadband. She wishes he had a gravy bone but all he brought was a toolbox. 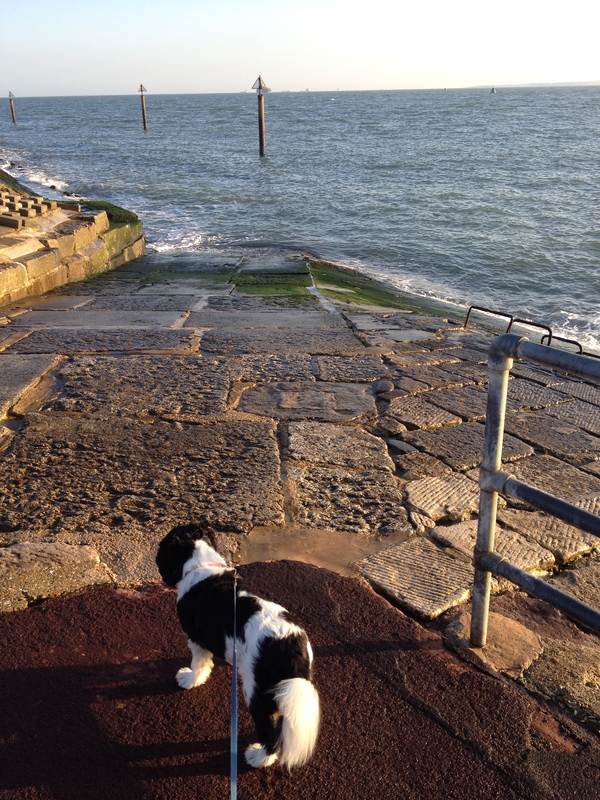 Pickles likes to contemplate slippery slopes. 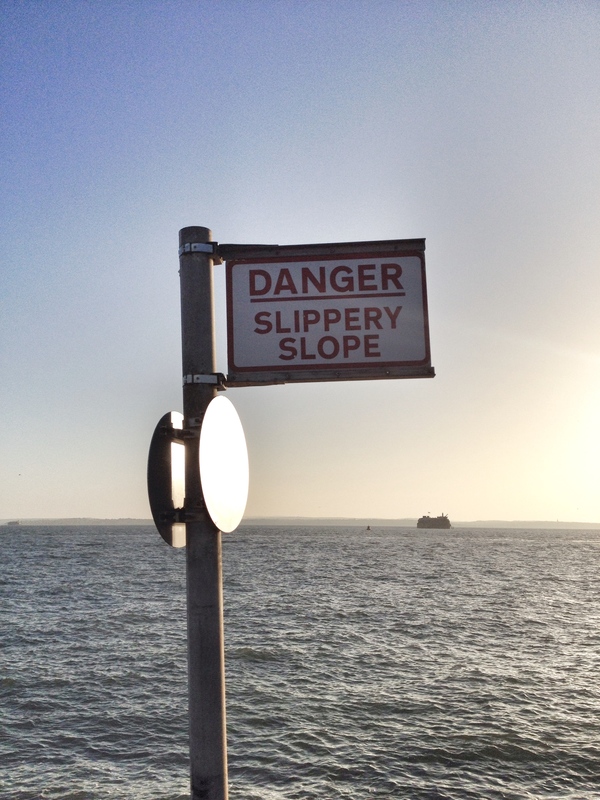 I thought it was a good sign to photograph because there are so many slippery slopes in life and they can be dangerous, indeed. One must be vigilant. Ah, so that’s where the slipper slope is that the politicians are always talking about. Oh, and good looking phone guy. Slippery. I should proof read. Love that observation, ‘contemplating slippery slopes’! Funny, I have been encountering all sorts of things with the theme of ‘dare,’ ‘take chances,’ … now contemplating slippery slope. Hmmm … Love the photos. Oh — yes! Thanks for this.